Weight Loss Tips are very much necessary for software engineers as they stick to their workplace almost all the time. This article is a simple and definitive guide for guaranteed weight loss for engineers. Learn practical ways of decreasing your weight through this article. I am focusing more on Weight Loss Tips for Software Engineers as I come from the same background. I have practically gone through all the challenges of having heavy weight and wanted to decrease weight as my weight is very much high compared to my height. So this article would be definitely helpful on how I have started following proven and simple methods in my work place to decrease weight and how you can use these for your normal day to day work life. So let’s get started. A simple logic which I missed early in my software engineer career is not calculating my intake to the amount of calories I spend. Even though metabolism of every individual plays a role, this article discusses of a day to day software engineer who does workout and at the same time has their breakfast lunch and dinner. 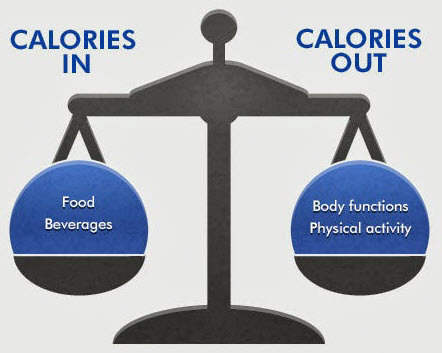 A Kilo of weight increase means 3600 kilo calories of intake more compared to the calories which you spend. So let’s discuss a normal breakfast, lunch and dinner and how much calories we take in and what are things we generally do for spending calories. Important thing every software engineer should understand is the amount of calories they take inside vs the amount of kilo calories they spend. In simple weight calculation, 3,500 calories equals for about 1 pound (0.45 kilogram) of fat. So if you can burn 3,500 calories more than what you take daily, you will be losing 1 pound. In simple terms, if you cut 500 calories from your breakfast, lunch and dinner each day, you will be losing about 3500 calories which is around half a Kilo. These words are difficult to digest, but read on.. some Weight Loss Tips in this article are really worth. Lets discuss how much we take into with our breakfast, lunch and dinner in our daily regular Software Engineer work life. The three main sources of our calories are fats, carbohydrates, and proteins. In this, there are some sources of unhealthy saturated fats which are butter, cheese and fatty cuts of meats. In contrast, sources of healthy unsaturated fats are nuts, vegetable oils, olives and seafood. Just like healthy and unhealthy fats, there are healthy and unhealthy carbohydrates as well. Simple carbohydrates like white rice, sugar (mostly in tea, juices), white flour (pakodas), soda (soft drinks), fruit juices and baked goods (cakes) are the ones that make you fat. There are some useful carbohydrates such as wheat flour, beans (Rajma), fruits and vegetables aid in weight loss and which are available for you in your cafetaria. If you can maintain this diet and have some useful weight loss exercises, it is very easy to manage your diet and decrease weight loss. A simple calculation says 1000 steps burns around 60 calories of what you take in. So try to go around your friends place instead of having a call. Take the stairs instead of lift as going down and up would give you more steps. Try to walk around your office with your colleagues after lunch and evening snacks. The more you walk, more are the chances to decrease weight. Spend some time in games like badminton, table tennis, volley ball or football if they are available in your office. These not only refresh your mind, but also helps in spending calories. There are more weight loss tips and weight loss exercises which I will add in coming days.